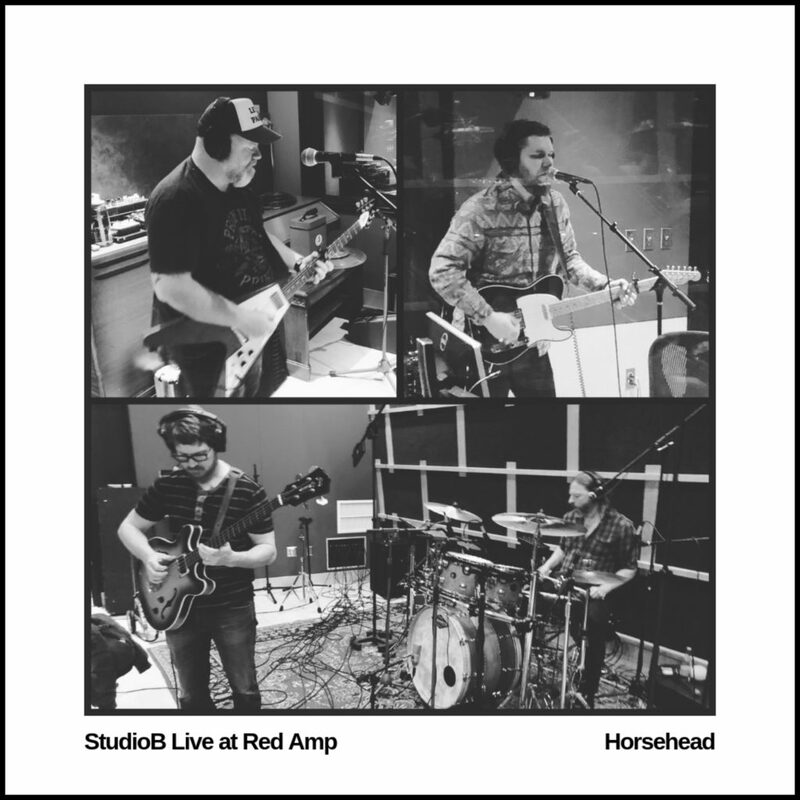 Today it’s another StudioB Live at Red Amp episode with Horsehead playing live in-studio at Red Amp Audio in Richmond. Jon C. Brown, Kevin Wade Inge, Ricky Tubb and Steve Chiles play a few songs from their new record “Pageant Wave” and talk about their history, recording, past records and their upcoming gigs at The Camel this Friday March 15th with Kenneka Cook and at Ashland Theater March 30th with Susan Greenbaum. Horsehead Live on StudioB. Recorded at Red Amp Audio.